Wendy's complaints number & email. This is crazy and I'm sure the other wendys doesnt charge for extra dressing so I will not come to 45 Prospect Hill Rd. Anymore I will go to Elm St. Enfield. I came through Wendys drive thru and it was horrible. NO BACONATOR FRIES WTF!! You have changed to a new BBQ sauce, it is disgusting!!! A worse sauce than McDonalds. Please bring back your original smoky full flavored BBQ sauce! 6:00 in the evening.... supper.... and they are out of sweet tea for the night they say. Front counter open until 10p.m. and drive thru open until midnight. This is ridiculous!!!! I went to Wendy's in Hernando MS about a month ago and ordered food at the drive thru and I simply asked for the chicken nuggets to be exchanged for a small fry on the four for four dollar meal and was told I couldn't do that so I ended up with chicken nugggets I didnt want.I have and my whole family has bought food from this Wendy's for years.I called the number to let Wendys know what happened and was told thats their policy.Well perhaps it shouldn't be its bad customer service over a small fry instead of chicken nuggets.Whats the big deal Wendy's I wont be back because of it.Also emails are very helpful. 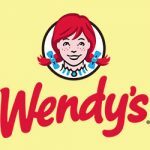 Get verified information about Wendy's complaints email & Phone number. If you need to make a complaint to the Wendy's, call (888)-624-8140. If you wish to take matters further, a range of contact options are shown on the website. Call the Wendy’s complaints line on (888)-624-8140. If you need to take matters further, the ‘Contact Us’ section of the website presents several clearly laid out options along with a description of the complaints procedure. You can choose between postal or online written contact, phoning via (888)-624-8140 or visiting your local branch. Wendy’s is an American international fast food restaurant chain founded by Dave Thomas on November 15, 1969, in Columbus, Ohio. Wendy’s was the world’s third largest hamburger fast food chain. The chain is known for its square hamburgers, sea salt fries, and the Frosty, a form of soft serve ice cream mixed with frozen starches. Hopefully, We helped you to get some genuine records for Wendy’s Complaint information. Use below complaint form to discuss problems you have had with Wendy’s, or how they have handled your complaints. Initial complaints should be directed to Wendy’s directly. You can find complaint contact details for Wendy’s above.